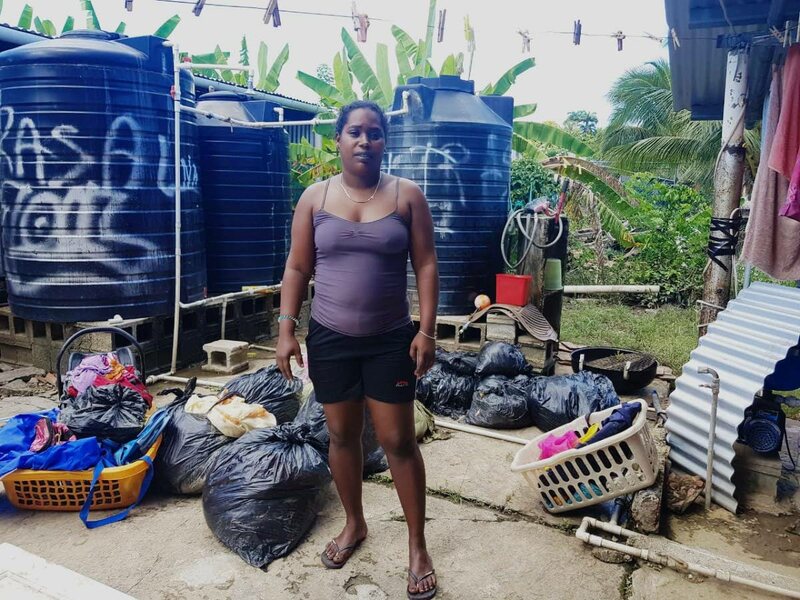 A mother and her two-year-old son were trapped for three hours inside their home during yesterday’s flooding in Cedros. Neighbours in Bonasse Village who heard the screams of Sandy Sherwood, 29, and the toddler, Andrew, braced the heavy rainfalls, and waded through murky flood waters to the family’s home. Using hammers, they broke down the front door to rescue the terrified woman and her baby. 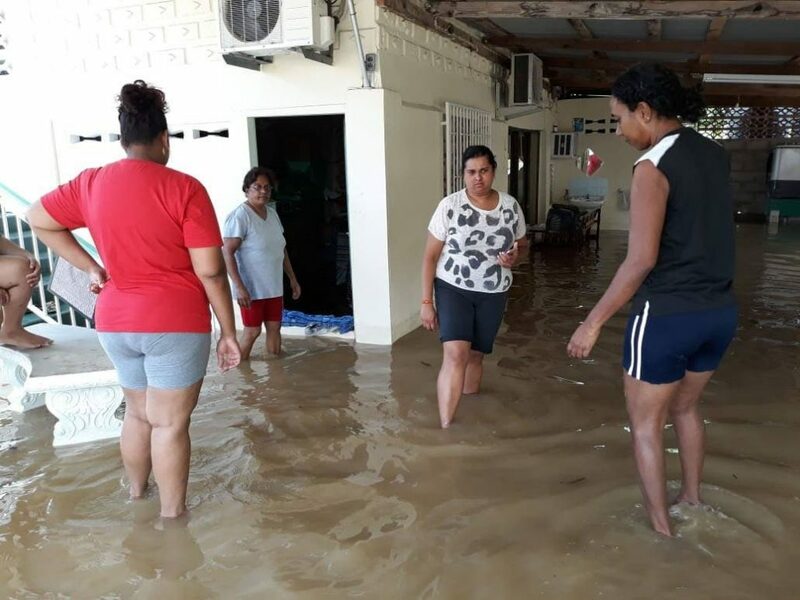 At around 11am there was heavy rain accompanied by thunder and flashes of lightning, followed by extreme flooding in Cedros. In an interview today, Sherwood told Newsday it was one of the most horrifying moments for her, as she thought she and her toddler would drown. She said the floodwater rose rapidly – in mere seconds. Sherwood said as the water rose, she kept climbing to higher ground. “I was holding Andrew in my hands. His crib was already covered in water. He was crying, I know he was really scared. I held on to him so tight, and still continued to scream for help. I watched his boxes of Pampers, his clothes and wipes, our groceries and everything just floating in the waters. Luckily for Sherwood, neighbours heard her cries and one by one they clasped hands and formed a human chain to reach the house. She said by that time the water was waist-high and the door was jammed, and so they had to use hammers to knock it down. Sherwood said the rescuers then carefully guided her and her baby out of the floodwater. During all this, Sherwood’s husband Denison Moody was at work and her two other children, Denese, ten, and Stacy, nine, were at school. Councillor for the area Shankar Teelucksingh said it was heartbreaking to know what the mother and her toddler encountered. He has since visited the family to offer support. He said the flooding was caused by poor drainage and the redesigning of the floodgates in the area. A total of 150 residents were affected. Reply to "South villagers rescue mother, son, 2 trapped by floods"